I am very pleased to be able to guest blog for MRsCHADT today. In fact, she has invited me to be here for three days, and I am very happy to oblige. If you are like me, I am sure you appreciate the one-of-a-kind personal touches in treasured items for special occasions. That is probably why you’ve been checking out the beautifully crafted books on this site. As a photographer, I know there are two important ways to preserve memories of a special occasion—guest books and photographs. There is no more important time to consider these things than when planning your wedding. Since you are already in the right place to find the perfect guest book, MRsCHADT has asked me to give you some pointers to find the best photographer for your wedding. I am tempted to just give you my web address—http://www.wilhelm-photography.com/. Oops, where’d that come from? But instead, I’d like to arm you with all the necessary information you should consider when choosing the photographer for your big day. I have organized my tips into the Three P’s of choosing a wedding photographer. I’ll tell you about one each day that I am here. Being a wedding photographer myself, I hope to unveil some of the mysteries of the business so you don’t have to wade through endless websites and wedding shows trying to find a good match for you. 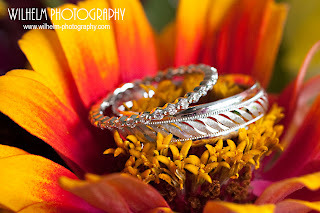 So, without further self-promotion, here is the first of my Three P’s for choosing the best wedding photographer. A camera does not a wedding photographer make. I know, this is not the fun place to start. You’d like to skip this and go right to looking at photos, but today everybody and their uncle thinks they are a photographer and I want you to be sure your wedding is in good hands. Now, everybody has to start somewhere, but you may not want to put the fate of your wedding album into the hands of the aspiring artist in your family or circle of friends. Sure, they might promise to have all of your photos on a CD by the time you get back from your honeymoon, but will they really be able to deliver the storybook beauty of the fairytale day you have been planning for…well, since you were clomping around in your mom’s high heels and slip playing dress-up. You wouldn’t choose your wedding location without going to see the venue yourself. Meeting your photographer is equally important. 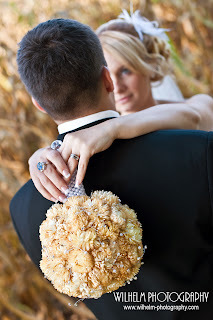 Photographers are part of your day just like the flowers, bridesmaids dresses, and triple tiered cake. Your guests see and interact with them. It is important that you approve of the way they dress and carry themselves. I think most photographers who have successful businesses have a fairly good handle on this-hence they are successful, but it is always good to be sure. Maybe you will meet a photographer at a wedding show, or see them working at a friend’s wedding. These are great times to take notice to how they dress and act in professional situations. If you found your photographer through the internet, schedule a time to meet with them to ask about their work. If you plan to have engagement photos taken, by all means, schedule them with the same photographer. This is the perfect way to get see their personality and quality of work. A great wedding photographer helps to keep things moving, especially during the allotted time for portraits so look for someone whose personality is both confident and friendly. A timid photographer might have a tough time lining up and rearranging all twenty three family members including Granny who is four feet tall and can’t stand long because of her bunions, the texting, too-cool-for-a-tie teenage brother, and a nephew who keeps giving everyone bunny ears. It takes a charismatic person to get that group in place and smiling at the camera. What’s in their bag of tricks? A professional photographer’s quality work doesn’t end with the gear they bring to the wedding. One thing you often forfeit when you use an amateur photographer is print quality. Will your photographs be retouched? Do they have software and professional labs that will handle your images with care and perfection, or are they going to take your images to the local drug store? Now, going back to the importance of having two photographers… The main photographer is going to be very busy focusing on the major events of the day. I only shoot weddings with a second photographer for this reason. I am in charge of what I call the “bread-and-butter” shots. These are images my couple expects to see in their proofs. That means when I am securing the tear-jerking toast, I am unavailable to snap a photo of the adorable ring-bearer stealing a taste of icing form the cake. I bring a second photographer to be on the lookout for priceless moments that are un-planned. You have to decide if candids are an important part of what you expect in your album, but that brings me to point number two... and that will have to wait until tomorrow. I hope this helps you see the advantages of hiring a professional wedding photographer. If you have any questions about my first “P” please post them below. Or post your experience. Have you learned the hard way about how important it is to hire a professional, or did picking the right photographer save your day? I’d love to hear about it! I hope you will be back tomorrow. And if you stick with me all three days, I will give-away a free engagement session to my one of my commenters! Stay tuned to enter. As a person who has already been married, I want to share my agreement with what has been said thus far. I don't remember how we found our photographer, but I do remember the photographs. I am a huge sucker for black and white photos, so when we were talking to photographers, I made sure to mention this. On the wedding day, our photographer brought 3 cameras. He had 2 on him at all times--one with color film and one with black and white film. His assistant had a color camera. Looking through our wedding album, you will see a color photo of us lighting our unity candle taken from the back of the curch and a B&W photo of that same candle-lighting taken right next to us at the alter. Well, I'm looking forward to having you photograph myself and the soon to be hubby, but I am also enjoy reading this so I can pass the advice onto some friends of mine who are looking for photographers. Diane and Paige- Thanks for the complements, I am happy to help other people find great photographers whether I am available to do it or not.